Although this is a continuation of a piece on the iPhone's success in Japan, I thought it appropriate to start with the success of the iPad. 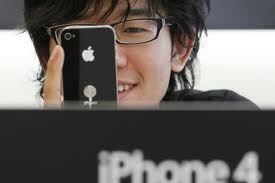 Japan has proven to be a fertile market for iDevices despite the counter-indicators. For anyone thinking that the iPhone's success in Japan was a fluke, the success of the iPad should abruptly cut off that line of thinking.